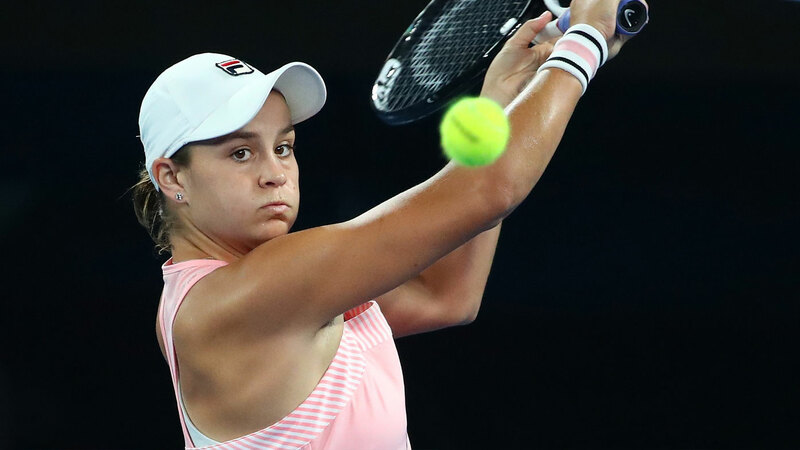 Australia’s Ash Barty conceded it took “some time” to get used to the “dead and slow” conditions inside a closed roofed Rod Laver Arena as she waived away concern over an injury scare that threatened to derail her third-round victory over Greek up-and-comer Maria Sakkari. Barty struggled to get into gear during a tight first set that saw the Aussie opting for an uncharacteristically “passive” approach in the heavier indoor conditions. Favouring a short-backhand slice, Barty was unable to capitalise off the flat carry as she ground her way tight 7-5 victory in the first set. Following the match the 22-year-old admitted the indoor conditions had her stumped, but says she was spurred on by the level of noise inside the raucous indoor stadium. “It’s an amazing sound in here when the roof is closed…it’s absolutely phenomenal, to hear all the Aussies out here it’s unbelievable,” Barty said after qualifying for the fourth round of the Australian Open for the first time. “The (usually)lively conditions suit both of us so it took some time to get used to how dead and slow it is in here with the roof closed, so there wasn’t going to be much in it all match. A surprise medical timeout in the set break sent wave of shock through her camp after the Aussie No. 1 was whisked from Rod Laver Arena with a suspected abdominal strain. The injury threatened to derail the Aussie’s morning but the reprieve seemingly proved wonders for Barty as she come back to steamroll the second set 6-1, wrapping up the match in an hour and 22 minutes. “All good,” Barty said as she waived away concern of her injury.